1 fl oz bottle of peach leaf extract. I made this extract with fresh peach leaves and two kinds of 100 proof alcohol. 40 drops is a good serving. Eat it plain or in 2 fl oz water. I make these extracts in small batches. 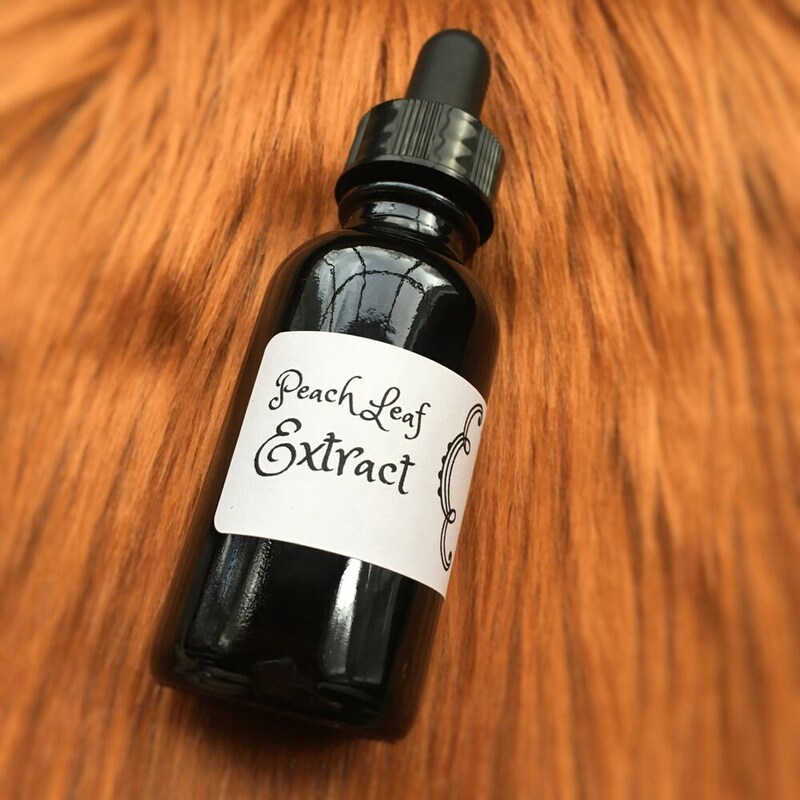 The peach leaves I used in this extract were grown with organic methods. Extracts are also known as tinctures. Peach leaves are a nervine and cooling, great for extra heat physically or emotionally and for calming the nerves.